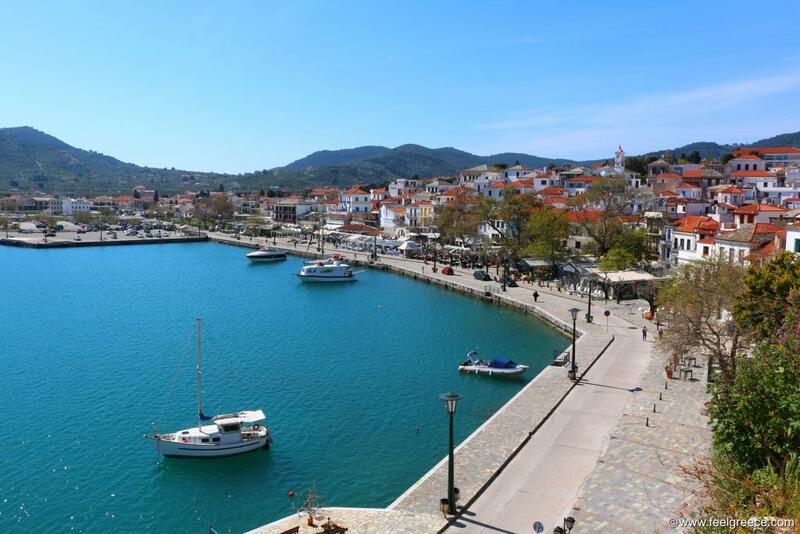 At first sight the island capital, Skopelos Town, looks like a typical town of the North Aegean sea. 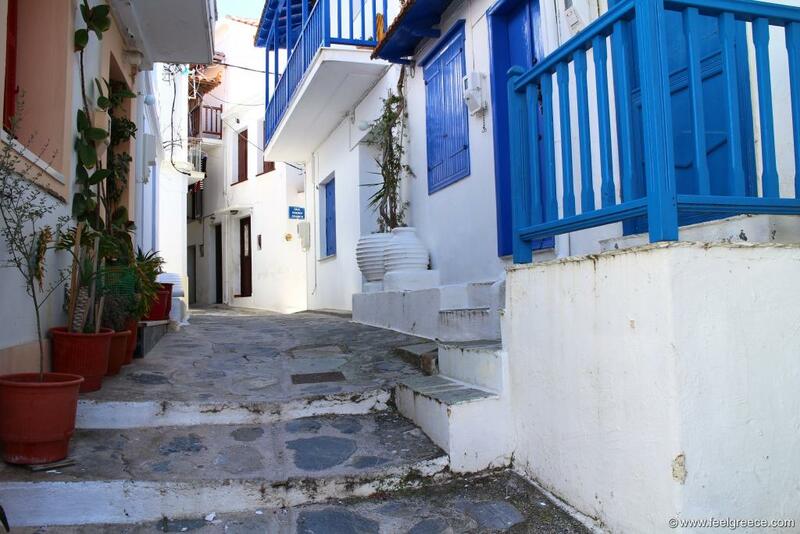 ...with white-washed houses, blue window covers and narrow alleys inaccessible by cars. 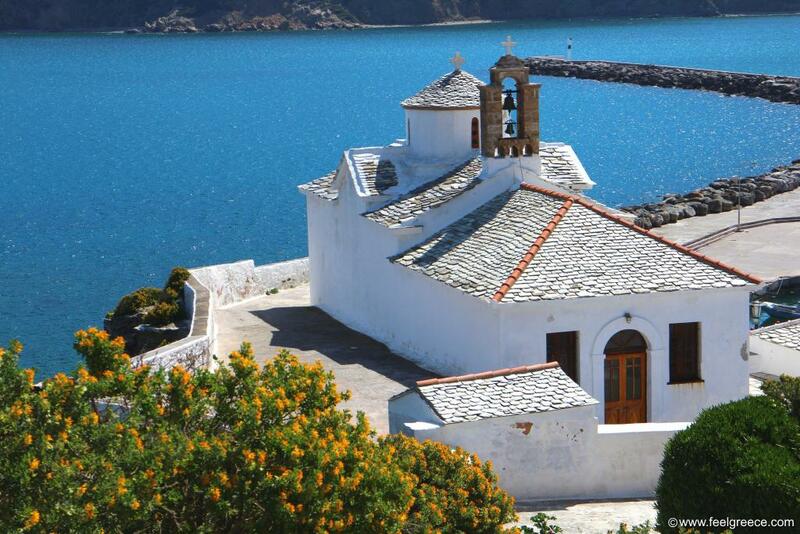 During your walk you can stumble upon local residents, other wandering travelers and some of the over 360 churches of this island. 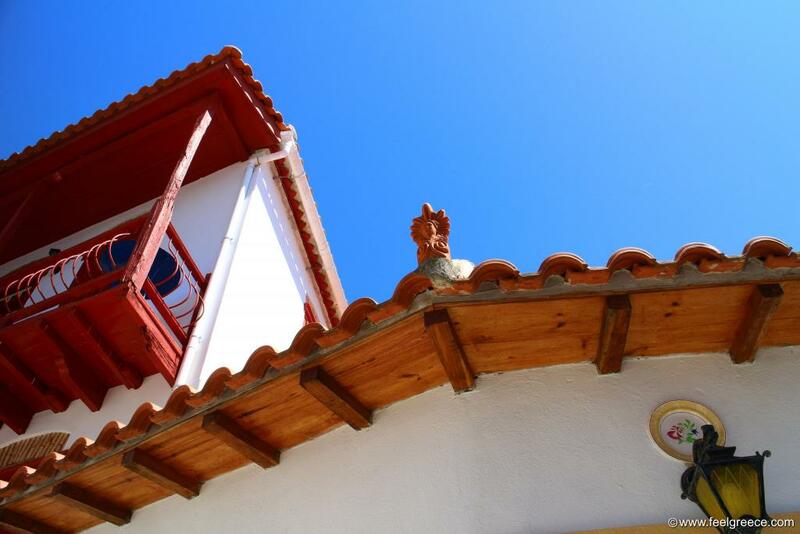 Panagitsa of Pyrgos is the most photographed church as you will spot it as soon as your ferry arrives, and you cannot miss it when you walk on the promenade or explore the old town. 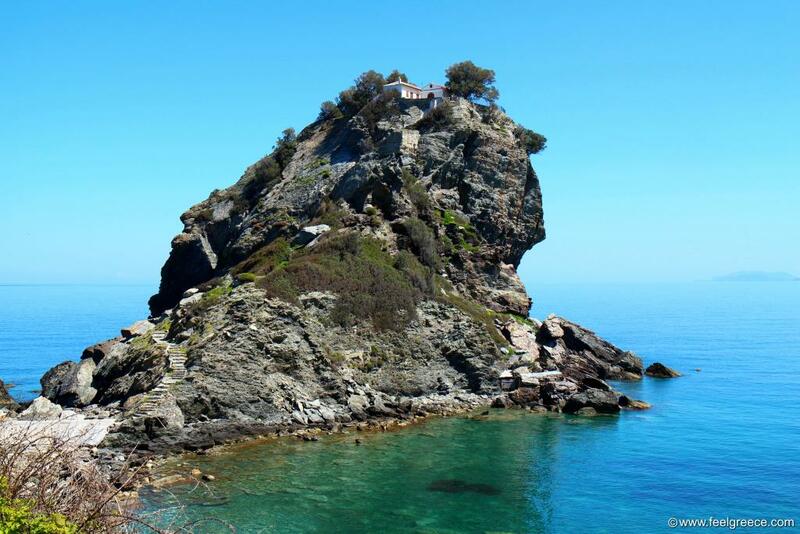 But the church which turned the eyes of millions of people to Skopelos is Agios Ioannis Kastri, also known as the church from the Mamma Mia movie. 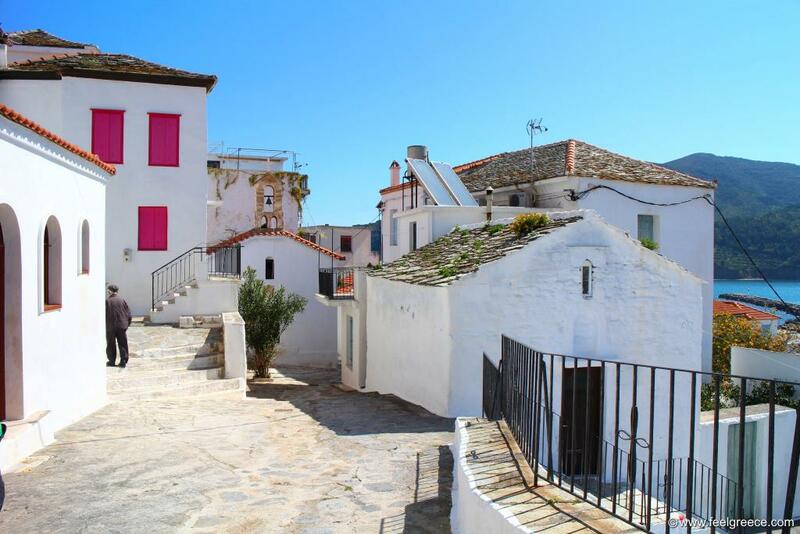 Climbing up the steps to Agios Ioannis Kastri requires some physical efforts but the view from the top is awesome. 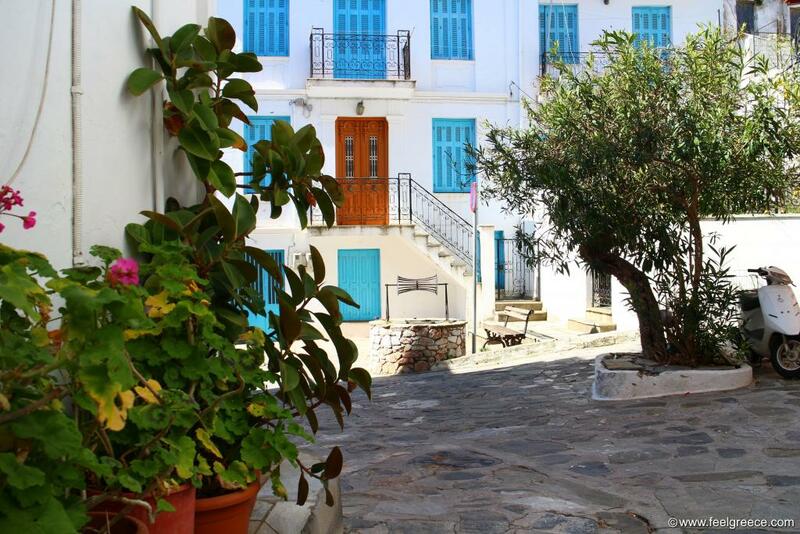 Glossa, the second largest settlement of the island, has nothing in common with the Cyclades but it has a lovely square with typical North Aegean architecture. 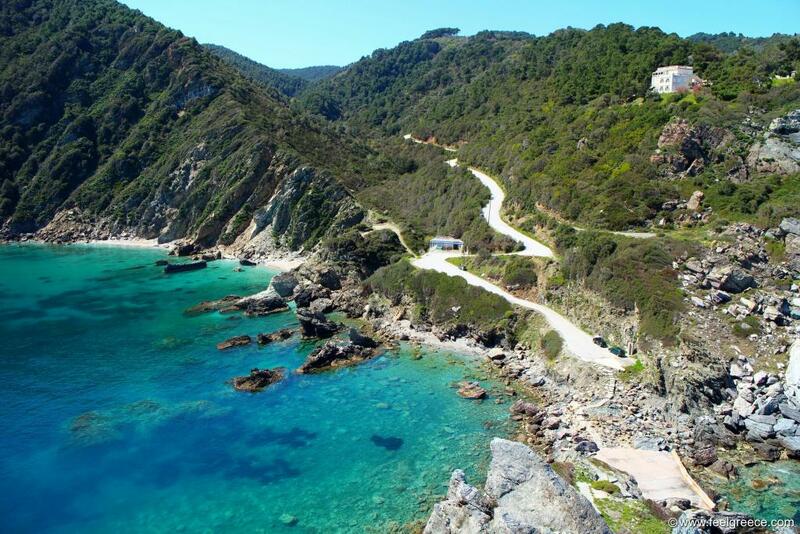 Skopelos is not only churches and houses. 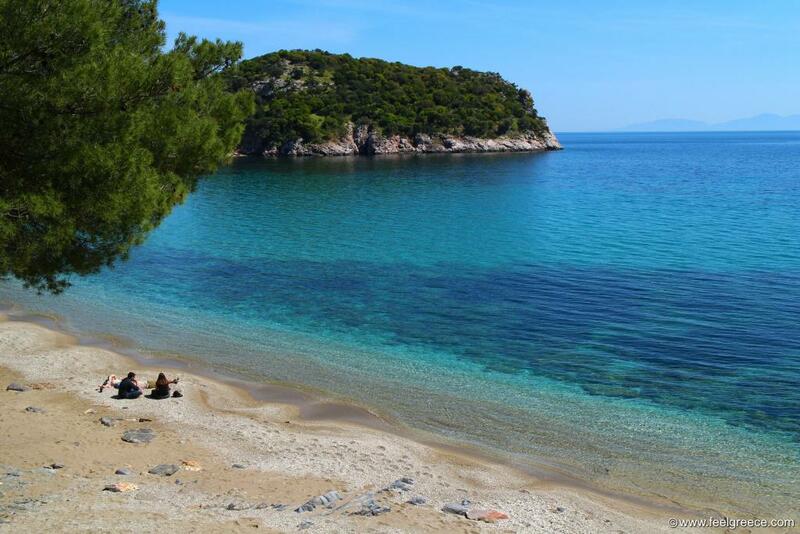 It has striking blue beaches among which Kastani is usually top-ranked. 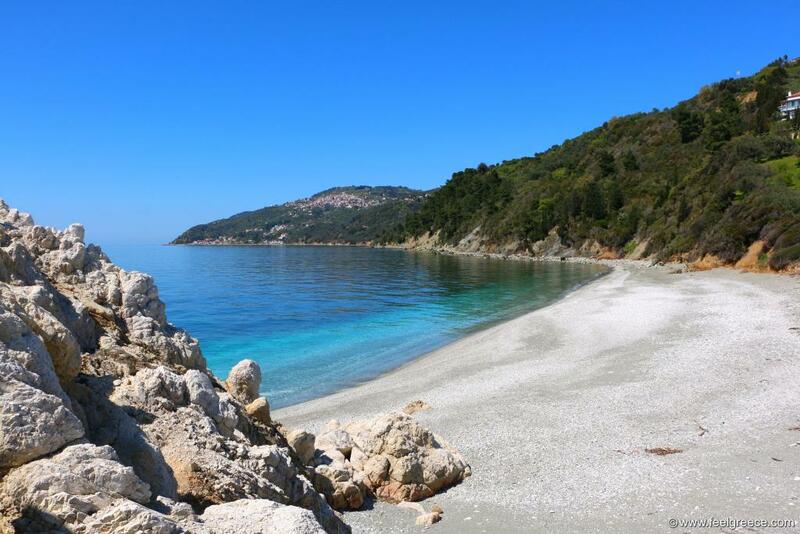 The small resort of Stafylos has two large strips with sand and pebbles - Stafylos and Velanio. 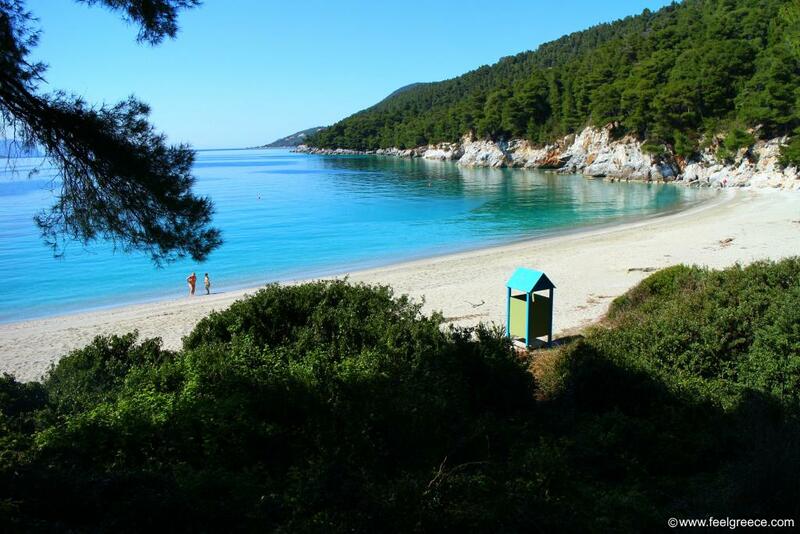 And if you want more privacy away from villages and other people, visit the pebbly Armenopetra beach (on the photo) or seek for a beach on the north and northeast coast. 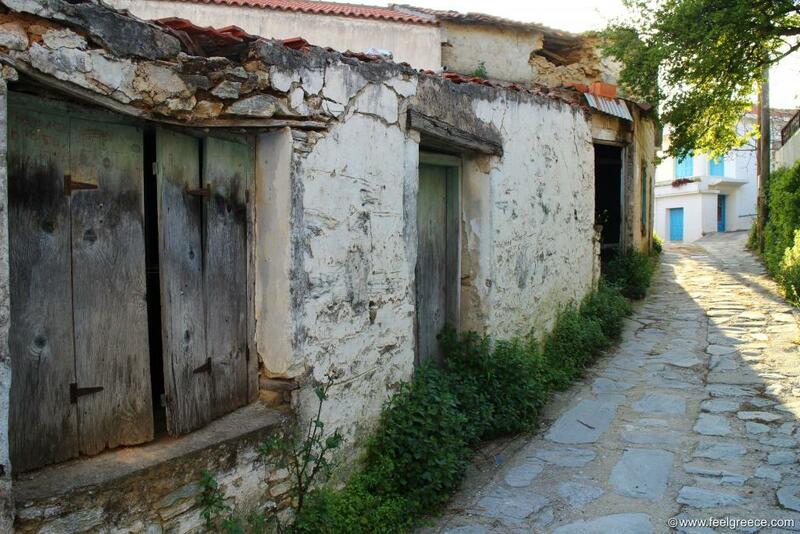 In the old village of Palio Klima you can still see abandoned or semi-ruined houses which show how life on Skopelos looked like decades ago. 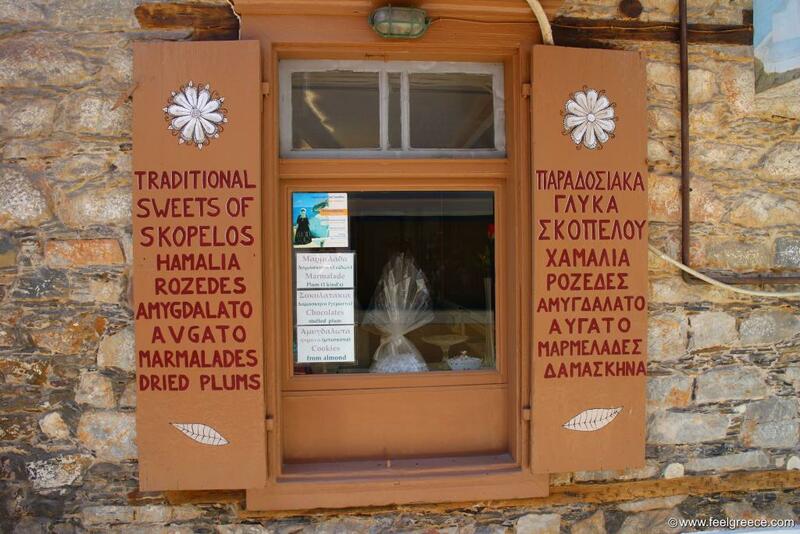 The bakeries tempt with traditional sweets and pastries as the most famous are Skopelitis pie and desserts make with dried plums. Dried plums are used in meat meals as well, cooked after old local recipes .